I know, you’re probably saying “so what”. But it just blows me away sometimes how they managed to pull off something like this. I mean wouldn’t it have been easier to just use a native application, so they didn’t have to composite a Mac application onto the Windows desktop? And whilst I’m over-analyzing, if you look closely, you’d notice they’re running Windows Vista Beta 2 with the ‘old’ icons and Media Player mini-player. Just a bit of extra useless information for the weekend. Update: After heavy discussions in the comments, several conclusions can be made about this increasingly stranger commercial. Is not Vista: Cut-off Start orb which is a known problem with XP Vista-lookalike themes. Is Vista: Taskbar icons are separated. Only Vista separates system icons from third-party icons. 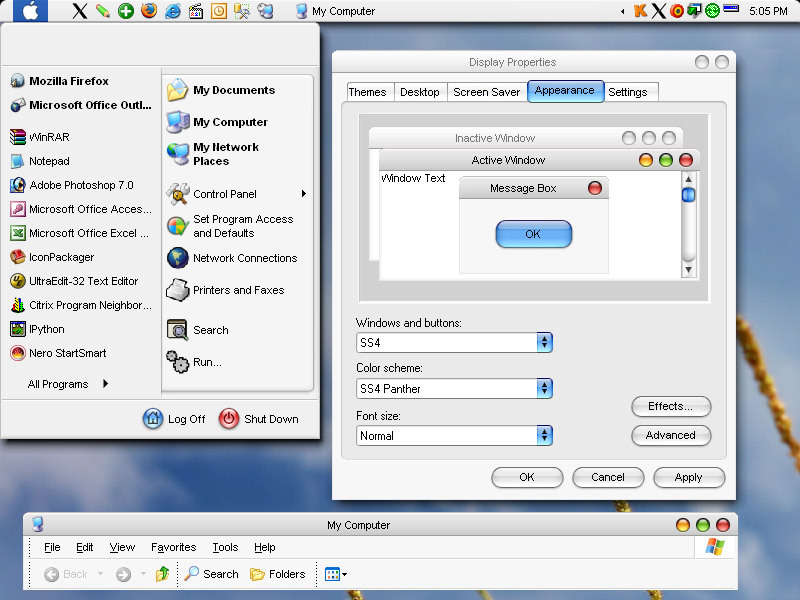 Is not Vista: Desktop icons have the “My” prefix (ex. “My Documents”). Vista removed this. Is Vista: Application button on the taskbar seems to be “Welcome Center”, which is a Vista applicaton. Is not a real operating system: Taskbar disappears in another scene. It actually is Windows XP with the unofficial Vista Transformation Pack that makes XP look all old-Vista like, with that particular taskbar and icons and various other little aesthetic shell changes. The hint is on the bottom left corner where the Start icon is cut-off at the top of the taskbar, a known bug of the Transformation Pack for which you had to install an add-on in order to get it to show the whole icon even above the taskbar. I could be sorely mistaken and this could actually be Beta 2, it’s just that I thought I’d tip you to what I noticed. I work at Microsoft and it makes my stomach rumble sometimes when I see our boxed product showing fake screenshots or shots of our product that just wouldn’t simply happen. I understand the marketing dept has a hard time trying their best to make a cool interactive product look fun and exciting with a just few small pictures, but still…. However, the fact that the Control Box is on the top-left corner kind of ruins this theory, but oh well. @Leftos: Yeah, the cutoff Start button is very weird, but the top left buttons are pretty strong indications that is an OSX application. It’s not weird Long, it’s just what I told you, a Vista Transformation Pack. I had downloaded and installed one and I had to have an add-on running on the background if the whole Start Button was to show. It’s Windows XP with the VTP, not Windows Vista Beta 2. No offence, just wanted to clarify it. I guess Canon didn’t even bother to try/upgrade to Vista. They just wanted to look like they were using something cool. And that’s cool-looking XP running a Mac application. “Where is the top part of my start orb? Due to the limits of XP, it is impossible to have the Orb extended above the taskbar. However, there are some programs that imitate the Vista Orb. The program provides you with another orb that you can drag and align over the original start orb; this gives the ‘full’ orb appearance. Last link shows with screenshots exactly what I said. Judging by the seperated network and sound icons in the taskbar, I’d say they are using the real Vista (even if it is a pre-release) – not the transformation pack. It just looks wierd because Canon mangled it for some strange reason… everything is stretched to fit the widescreen – except the Canon software. Wow, with you guys, we could start a detective business. We did look closely, and we’re expecting answers! And it’s all just getting more and more confusing. 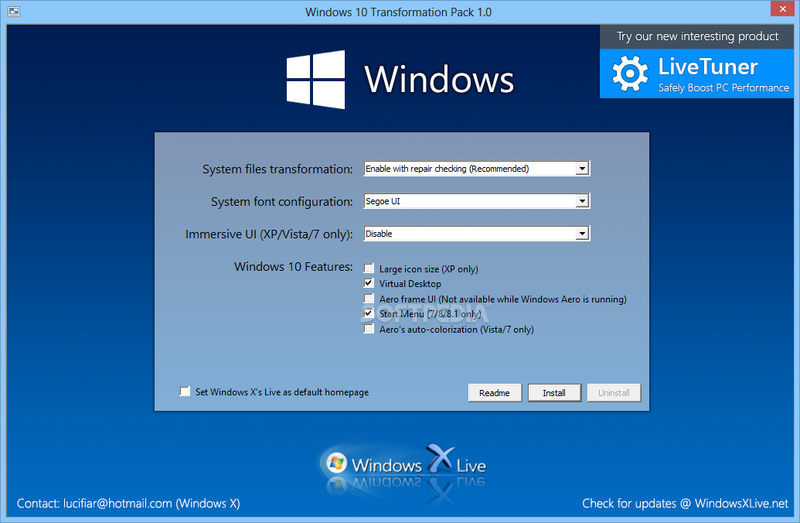 It is indeed the transformation pack .. you could also see it with the windows media player that is not like this. I don’t understand why they have to show the whole computer .. and why they use skins for the ad’ .. umbelievable ! I think its the old Vista beta because even a XP machine would have IE7’s new icon (the only one in Microsoftland without a shadow!) and there are not the right taskbar buttons (must be more than one). @Jay: In the beta versions of Vista, the minimized Media Player was also transparent. It’s definitely not a Vista beta – note the use of the prefix ‘My’ (ie. My Computer). The Vista betas did not have this. And as Leftos stated, the cut start orb. @Spik3ballooon: Good eye. 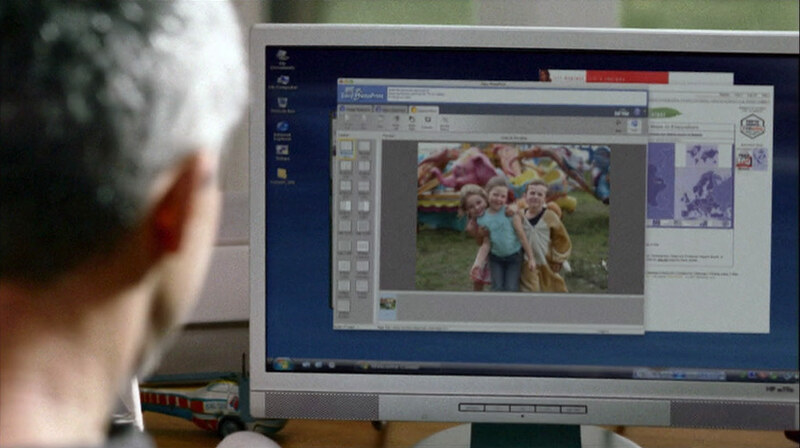 Why the hell would they waste so much effort adding in a fake taskbar into the shot? Why are they trying so hard to show a fake Vista? @Long: Maybe their marketing studio/ad developers didn’t have Vista and they didn’t bother installing/buying Vista. Well regardless of the strange Vista/OSX screen, I actually took a look at the video and I thought it was kind of neat. Personally, I think they did it on purpose to mess without minds. There appears to be at least 4 programs open…one is hard to see. The taskbar shows one program plus a minimized media player…only two. So….what about if it’s not Windows at all, but a Vista-ish wallpaper on an OSX desktop? You know ad people, with their exaggerated sensibility regarding what you can do with PC vs. Mac. It might not have occured to someone to just use a PC, so they rigged up a convoluted fake Vista screen instead. I can’t believe I’m contributing to this! Strange. The more i look at it though it appears as if they put a screenshot of a Vista desktop (normal screen ratio) on a widescreen Mac. They might have done this in a bad attempt at staying unbiased when it comes to “inadvertedly” displaying advertisement for Apple or Microsoft. @Carl: I’d agree with that – I’ve used some very convincing OSX skins for WindowBlinds before. And it isn’t too hard to mod them so that you can change the taskbar at will. I know nobody cares as much, but the IE icon is from Beta 1. There are many possible causes, but I bet it was a human failure doing some mockup there. What I think is that they were using a transformation pack to make XP look like Vista. They probably set “Auto-hide the taskbar” setting and took a screenshot of a Mac desktop running the Canon software, and saved the screenshot and used it as the desktop for their “Vista” (XP). I recognise the program. It’s Canon Easy Photo Print, and interestingly enough, it does come in Windows flavours. So why use a Mac screenshot of it? I don’t think beta 1 had the Orb, forgotten when it appeared. @Punk: It was in beta 2. The first leaked b uild with the orb was 5259, but it existed in MSX builds all the way back to the 4080s. I’m not sure the application open is the welcome center…The welcome center icon in the taskbar is a little ”vista” box whereas the icon on the taskbar for the app open appears to be the windows flag. Canon may have simply used PhotoShop to create a false image using a bunch of different applications and operating systems.